A car hauling trailer is a flatbed having rubber tires which can be easily attached to a tow vehicle. It is a kind of utility trailer which is used to transport 5 to 6 cars at a time through very busy highways and streets. Car hauling trailers cannot operate on their own. They depend completely on a vehicle that helps them to move around. Their modern versions come with advanced mechanized features which enable one to make the right adjustments while loading heavy vehicles. Some of the trailer models may even come with an advanced and special feature of higher side rails. Besides just the metal ramp and surface, some also have surfaces with treads to decrease slipping and movement during transportation. 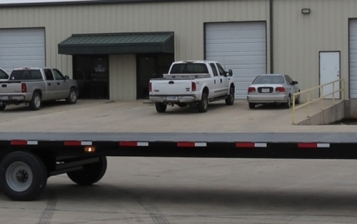 The flatbed trailers are generally useful for relocating cars. They can also be utilized to take one or more damaged vehicles to the repair shop. Some of the trailers have wide side doors that can be opened to make the unloading process easier. The trailers are specially equipped to hold the cars firmly without damaging them. They have a very complex lock system so that the cars do not slip while getting jerks on the roadway. 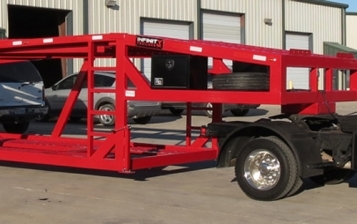 How Can You Buy or Hire A Car Hauling Trailer? Most of the trailers are available from online source. The online dealers display the new and old equipment trailer for sale and rent. You can go through the online catalogues and choose one that suits your particular requirements. The models and their features are all listed online with the specific capacities and dimensions. So, if you are looking for the best car hauling trailers, Internet offers the best deals and solutions for you. 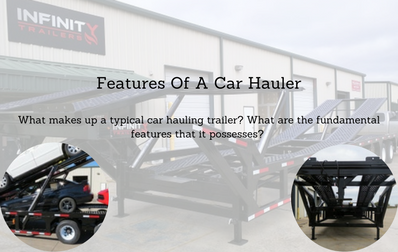 If you like this post, then stay connected to our blog site for more information on car hauling trailers.